Whenever Jaywalk Studio is mentioned, it's natural to think of Yang Mi who has been the face of the company in addition to being one of the founders and a stockholder. The company's success over the years is for everyone to see now that many of its stars like Dilraba Dilmurat, Vin Zhang Binbin, Leon Lai Yi, Liu Ruilin, Maggie Huang, Daisy Dai Si, Bambi Zhu Xudan and Vengo Gao Weiguang are starting to make a name for themselves. Li Xirui who signed with Jaywalk in 2013 around the same time as Dilireba and Vengo is the first among the group to leave the company. She recently changed her weibo profile from 'Actress signed under Jaywalk Studio' to simply 'Actress' and on Aug 1st, she wrote a message that reads, "Thank you for having met, thank you for being a companion. August, how are you." Jaywalk Studio later confirmed that Li Xirui had indeed ended her contract amicably and that they support her future endeavors outside the company. It's always somewhat bittersweet to see partings as Li Xirui has been known to be friends with the other Jaywalk ladies like Dilireba whom she would even visit on set while filming another drama. Li Xirui has played a supporting role in Les Interpretes and played second lead to Dilireba as her best friend in Pretty Li Hui Zhen. She's elevated to lead actress as she starred in Pretty Man, To Love To Heal and Dongshan Fine After Queen Consort the Snow within this year alone and I hope to see more projects from her. No surprises here when the resources are invested in a few artists. Who’s next? Jaywalk did a great job promoting her well she did 7 dramas as a female main lead and other supporting actress. From 2014 to 2018 she does 11 dramas and 1 movie. I've seen her dramas she has a talent but her dramas are flop. Her agency is fair enough they give every one a chance to shine. Every Yang Mi's drama she put of her own people she let them shine with her. She's probably too ambitious and also unlucky. This year alone, she had three dramas as a lead actress but every project flopped. YM should have put her in TMPOB - since every female character there earned at least a little recognition and popularity. But now people like Huang Mengying, Zhu Xudan and Dai Si has probably surpassed her. Yeah She's probably too ambitious and choose the wrong drama to work with. I've seen her drama to To Love, To Heal she's to cold that you don't want to watch it, I know her character must be cold but its to much. She should have work with YM in TMOPB even though supporting role most of the cast rise to stardom on that mega hit popular drama Ten Miles OF Peach Blossom or Ym drama Negotiator to gain recognition before working on dramas alone being a main lead. This year alone she does 3 dramas as main lead but didn't work out. 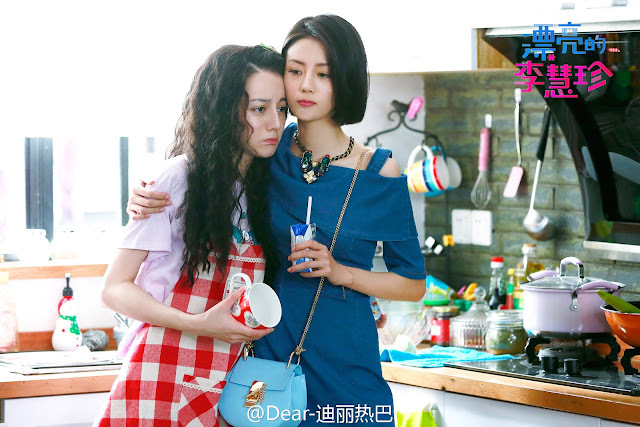 Liu Wayne they become all rising star and popular because of the drama Ten Miles Of Peach Blossom. Lai Yi just started to work on dramas in just 2017 he does 2 supporting role drama and 2 drama as main lead. In 2018 he has already film 4 dramas, 1 already aired and 1 still on airs and 2 upcoming drama. Jaywalk promoting him nonstop. A person work on 4 dramas in a year is to much he don't have rest but still he is working hard to be recognized and be appreciated as an actor. He is already been recognized and he gain popularity on his recent drama Legend Of Fu Yao. Soon he will have more project being main lead on a drama. You are one of those people who will campaign for Lai Yi to have lead roles but when he actually does, you won't even bother to look at it. See how Hi Flower and Armor Hero Captor King flopped. Supporting roles in big budget dramas is a much faster way to gain recognition than just going for lead roles straight. See how much recognition he got from TMPOB this year, and even more with Fuyao this year. All these is only possible because he was in Jay Walk. He's probably gonna get his first lead role after filming The King's Avatar now that he has built a small following. Preach! While I want LY is getting bigger role because he is better than Vengo who is getting lead roles. But Jaywalk is pretty fair and they are trying their best to give everyone a chance. Vengo has been with JW longer as well as others so he would get bigger roles. But I was surprised that LY's role is Fuyao is pretty big. And he is clearly getting recognition and gaining more fans. It's better for to be supporting in big project and gain popularity until you are strong enough to have your own drama. It's not like Jaywalk didn't let him lead but no one cared. But with his role in Fuyao and Yangyang's upcoming drama and more, I'm sure Jaywalk will give him a lead role or at least YM's 2nd lead which is the biggest they can be next to her. Oh! She is actually good looking too (First photo is bad though) I wonder why she wasn't promoted much and was unknown to me. I don't find DLRB too pretty either, she's much better off as a model because her body looks great in every single thing she wears. Just my opinion, the contract like DLRB to stay in Jaywalk is too long so it's good that she left, and she left very nicely and politely too. And it probably doesn't mean they won't cross path in projects ever again right?